Tear up the field during your next match with brand new adidas soccer cleats. Known to have some of the coolest and advanced shoes in the game, adidas is a no brainer for any player looking to gain a competitive edge. Let the three stripes be a symbol to your opponent that you take your game seriously when it comes to lacing up. adidas has a variety of cleats fit for any age or skill level. When you buy a pair of adidas soccer shoes, you know you’re getting the best combination or style and durability. Let soccerloco help you charge up your game with top performing kicks from adidas including the new adidas Predator, Nemeziz, X, Ace, Messi, and many other lines of cleats. 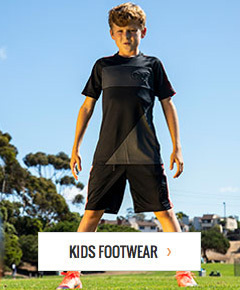 Shop adidas soccer footwear online now and save with low prices and no hassle returns.